I absolutely adore Raw Cold Pressed Organic Coconut Oil. I love the taste, the smell and all its amazing health benefits! It’s a true Super Food! Coconut oil is a saturated fat made out of medium chain triglycerides. It’s metabolised in a different way to other fats, It’s basically transported straight to the liver where it’s turned into energy. The body burns the coconut oil in the same way as it burns carbohydrates and it’s not heading straight for the fat cells like other fats. 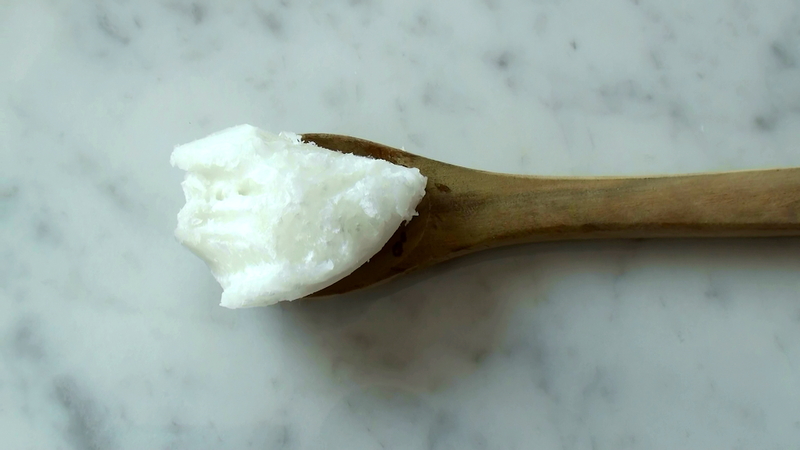 Coconut oil raises the good cholesterol (HDL) and lowers the bad one (LDL). It’s helps to protect your liver from toxins. It’s anti viral and anti fungal, (you can use it both topically and eat it for conditions like herpes and nail fungus). And since it is a saturated oil it has a high smoke point, meaning you can fry in it without causing damage to the oil. It’s an excellent moisturizer for your body and a great hair treatment, super efficient and super cheap! I can’t believe that i have never ever tried it! I totally need to. How do you know all this?